How you can profit from share price volatility. The relationship between Risk and Return is poorly understood by most private investors. This 20 page guide to provides a clear and insightful introduction to Risk and Return. 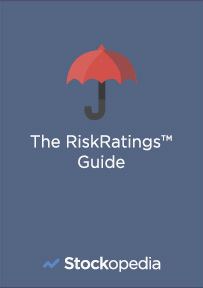 In these pages you will discover the RiskRatings and how they can help you build variable risk portfolios for different market environments. Theory & reality of Risk vs Return. The 5 RiskRatings and their historical performance. The distribution of RiskRatings across Size & StockRank. Which RiskRatings do best in Risk On and Risk Off markets. Beating the market with the Low Volatility Anomaly.